This unique design will help you stand out in a good way! 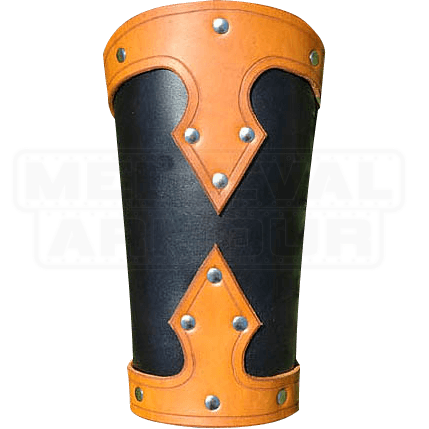 Made of durable 13/15 ounce armor grade leather with top accent layers of 7/8 ounce for additional protection and appeal, these arm bracers will protect your forearms in style. 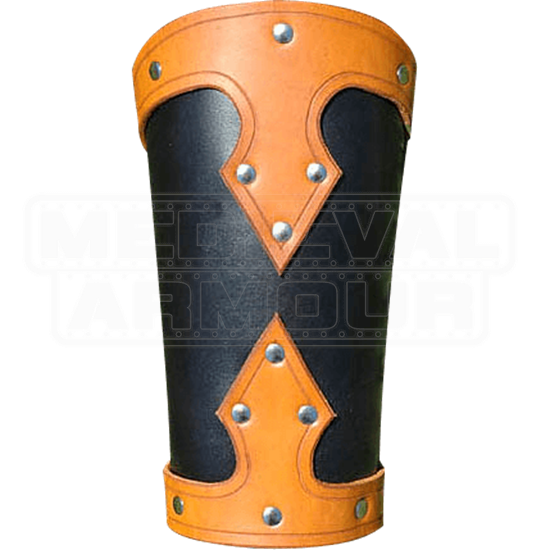 The arm bracers lace up in the back and are sold as a pair. When ordering, the Color selection is for the color of the arm bracers. The Accent Color selection is for the color of the top design.